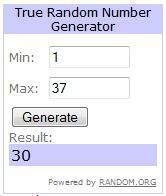 Firstly I thought I would reveal the winner of my give away of the Lucy City' Espirit bag from Shopalike.co.uk. The company kindly offered to sponsor a lovely give away and who could say no! I haven't had a give away in a while and I thought this was a perfect time to do one for all you lovely bloggers! After two weeks of the most hellish exams and lots and lots of hard work, they are all finally over and I've got the summer ahead of me. I will be contacting her to let her know, but I just wanted to take the time to thank all the others who entered and all of those who visited my blog whilst the give away was active. I really appreciate it and all your effort and you guys keep my blog going! Now unfortunately I was unable to attend this amazing festival in Carlisle as I could not get tickets, but I listened the whole weekend on BBC Radio 1 and I have to admit that my favourite performance was of course from the gorgeous Ellie Goulding. Some of you followers may know that not long ago I got the opportunity to photograph her at one of her performances. So obviously I am a great lover of her! I love gig photography so I will do another post of all the images soon! Please enjoy her gorgeous music from the BBC website below, I found this and smiled the whole way through! Seven facts about myself are: 1. I write everything down because im so forgetful. 2. My closet most recently broke because I have too many clothes. 3. I'm addicted to the Simpsons. 4. I love watching Come Dine With Me even though I cant cook. 5. I always wish that I could play an instrument, 6. Steak is my favourite food. 7. I drink way too much coca cola! Congrats Rachella! and Thanks Pappi for commenting on my blog! i love ellie! i saw her at coachella (live webcast only... )! either ways she was so good! and gig photography must be so difficult! I watched the Ellie Goulding sset from the warmth of my lounge. She was fab and I loved her top. wow the last jacket of her! I am a forgetful person as well. her studded jacker is cool!